Save as you borrow loans (SAYB) are the most popular loan for members on low incomes, who need help to build up their savings or those with a poor credit record. You make an agreed payment each week or month, and a small part of this is added to a special savings account. You can not touch the savings while you have a loan, but you will have saved a small lump sum when you have finished paying it back. 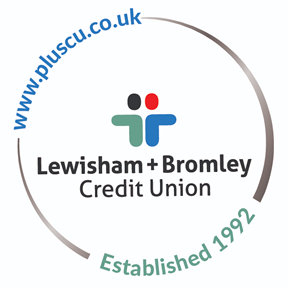 We can lend up to £800 for a SAYB loan for members without savings, although first loans are usually less, and up to £1,000 for top-up loans. Interest rate 3% per month on the loan balance (42.6% APR representative). Top-up loans may be considered after six months from the original loan date and every three months thereafter, each subject to loan approval. If you receive benefits, loan repayment by direct credit of a benefit will normally be required. You will need an Engage Current Account, Engage Prepaid Card or another bank account to access surplus cash. Your loan can be credited to your Prepaid Card, and then cashed using a Cash Point machine, or can be transferred by BACS to your bank account. Loans are not normally issued in cash. We provide two Save as You Borrow (SAYB) loan products. These provide higher upper loan limits, longer repayment periods and, for those on monthly net incomes above £800, lower interest rates. representative examples will follow. * Includes £2 per week or £8 per month contribution to your savings. A) Apply for fast-track top-ups for the existing SAYB loan when available. Option A means no change to existing borrowing or repayment until the end of the existing agreement (16 months – up to January 2019). B) Apply for one of the new SAYB products instead of the next fast-track top-up. This will need a full loan application and a credit check. A full application will usually take several days to assess, and will require evidence of your income and address. You may be allowed to borrow more under the new loan product, subject to affordability checks. Regular loan repayments will generally be lower because of the increased repayment period. However, over the whole term of the loan, the total amount of interest you repay (“cost of credit”) will be higher, because the loan is over a longer period. Where regular repayments are lower, fast-track top-ups are likely to be for smaller amounts because less will have been repaid in the previous 3 months. Whether you apply for the new products now is a personal decision for you. We would encourage you, before making a decision, to read our new loans leaflet which has illustrations of the new repayment amounts and also the total amount repaid over the term. The existing SAYB product will cease to be available for further fast-track top-ups after January 2019. *Including contribution to your savings over 62 weeks or 16 months. Paying more than the minimum will clear your loan quicker, and reduce the total amount you have to pay, but will also reduce the amount of savings you build up while you repay the loan. When you apply for a loan in person, you will need to provide proof of your income, ID, and current address . You will also need to bring proof of ID and address again when collecting the loan. If necessary, we may also ask for bank statements, evidence of debts or other information to inform our loan decision. Before your loan is issued we will ask you to provide evidence that you have made arrangements for regular electronic loan repayments.